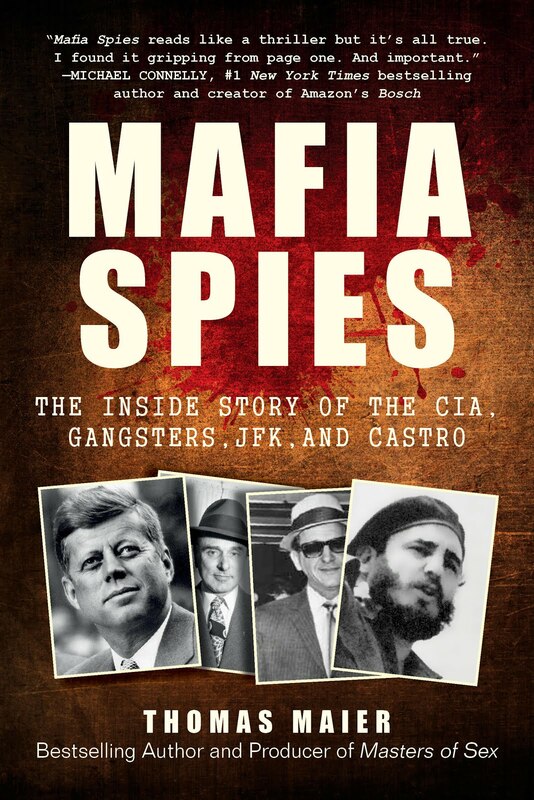 SPYSCAPE Museum sent this photo, commemorating that MAFIA SPIES was the inaugural choice for its new SPYSCAPE BOOK CLUB. It was taken on Tuesday night when the Museum hosted the book launch party for MAFIA SPIES, attended by a band of well-wishing gangsters and spies! 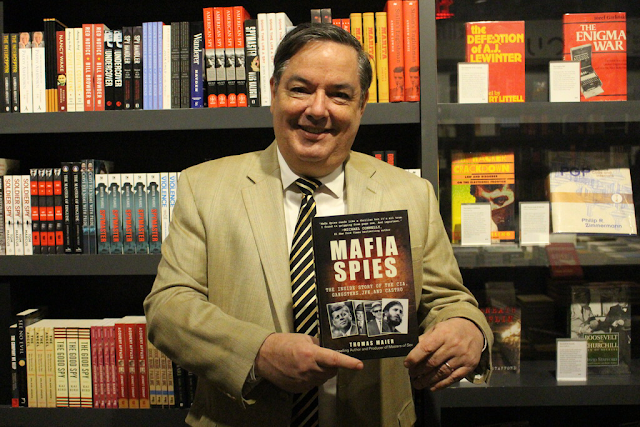 (Pictured: author Thomas Maier and "Mafia Spies" book at Spyscape Museum on April 2 2019, the launch for the book).